On Saturday, several members of the troop attended the annual Scout Day at Auburn University to see the Tigers play the Arkansas State Red Wolves at Jordan-Hare Stadium. The annual event draws both Boy and Girl Scouts from throughout the state. 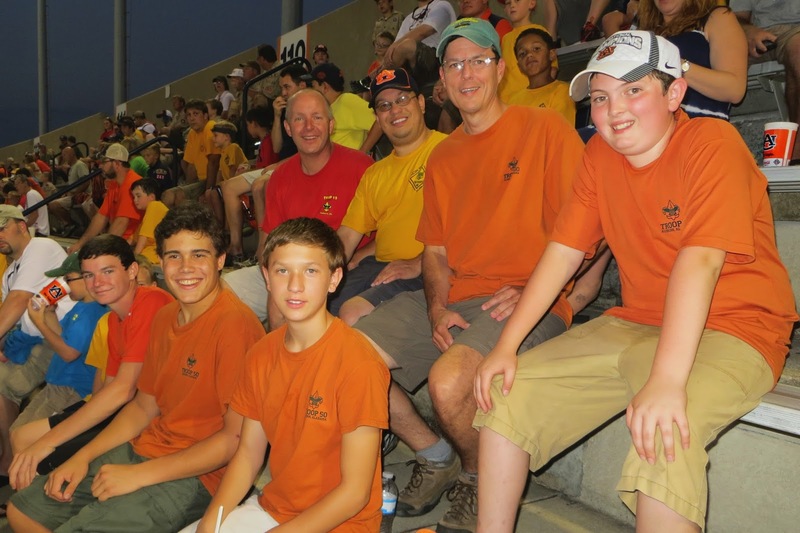 This year, almost 500 Scouts and Scouters watched Auburn emerge victorious by a score of 38-9. The game was also a time of fellowship with other Auburn units, including members of Pack 29 and Troop 15. An enjoyable time was had by all.